Firstly it’s important to note that not all certificates are created equally, some will be much more useful to you than others which will depend on the particular area you are aiming to become certified in. Some certificates simply require you to pay some money and take a multiple choice test, others require you to pay and perform a practical assessment at a computer, while still others require a combination of the two along with other prerequisites such as other certificates or a certain amount of time employed in a role within the field you are looking to certify within. Basically different certificates will have different requirements, and the ways to obtain the different certificates will differ throughout. Certification offered by Microsoft for example is typically multiple choice. I currently hold 5 different Microsoft certificates, all of which were multiple choice question based. While I did spend a lot of time studying and feel like I learned a great deal, in the end you’re just answering multiple choice questions which are essentially trivia and facts rather than actually proving that you can do anything useful. For this reason I most likely will not be pursuing future Microsoft certification unless there is a particular subject I am really interested in, or if their certification process changes going forward to incorporate a more practical approach. On the other hand, certification offered by Red Hat for example is completely practical, they sit you down in front of a Linux system and require you to actually perform a series of different tasks. This sort of test requires you to actually show that you have the experience required to do what is asked of you, as you have to do it correctly to get the marks which in my opinion is far more useful compared to the Microsoft multiple choice style of exams. 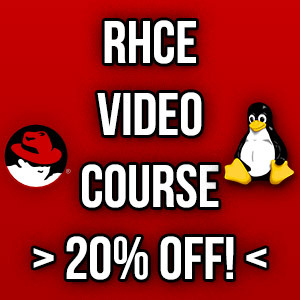 I felt far more accomplished after completing my Red Hat Linux exam compared to any of my Microsoft exams as it was a more challenging and rewarding experience. Who Are Certificates Useful For? Certificates are a great way to get up to speed on a particular subject area especially if you are new to the field or technology, for instance if you are making a career change into IT there are some great baseline certificates that can really help you build your knowledge. With that said you can always simply learn the material and never actually pay for and sit the exam. If you have already spent the time learning the subject in my opinion you may as well just pay to take the test and claim your piece of paper, as the amount of time spent studying generally outweighs the amount of money you’re paying for the exam. Most certificates will require you to pay in order to sit an exam to become certified. The cost will vary from vendor to vendor and on the certification, for instance entry level certificates will generally cost less compared to their more advanced counterparts. As the price will depend on the certificate you’re interested in, only you will be able to justify whether or not you can financially afford to pay for certification. In my experience most employers are happy to cover the cost of the study materials and the exam for certification that is directly relevant to your job, so it may be possible to get these costs taken care of by work which is definitely worth asking about. Even if you have to pay yourself, in my opinion the typical exam cost of a few hundred dollars isn’t very much when compared to the amount of time you may spend actually studying for the exam. Depending on your tax laws, you may find that you can claim certification study materials and exams on tax if they are related to your job, saving you some money. The time spent studying for and preparing for an exam to become certified also needs to be considered. Of course the study time will vary depending on your current experience in the subject and how well you already know the particular topic, however the point is that the financial cost is not the only one to consider. The cost of your time is also valuable and important to think about. You’re only alive for a set period of time, how much of this will you dedicate to study? Alright so that’s probably a grim way to put it, but you get the idea. You can try to estimate how long it will take to learn what is required by reading over the objectives for the exam however this will be difficult to do accurately. You may not be able to accurately get an idea until you get started, this is not something I can guess for you as everyone learns via different methods and take different amounts of time to learn. In my experience I can dedicate anywhere between 20-100 hours in exam study, depending on the particular certification and what I already know this will change, so be prepared to dedicate some time if you decide to get certified. The reputation of the certificate itself and where it is coming from are also important to consider. There are a lot of random, unknown and sometimes downright shady certificate providers out there asking for your money. If you’re looking to get certified for a particular technology see if the vendor offers any official certification as these will likely be your best bet compared to third party alternatives. For example looking to obtain vendor specific certificates from Microsoft, Red Hat, Cisco, or VMware for instance will be far more legitimate than signing up for an online course at “Honest Joe’s Legit Certifications”. This is because these larger well known companies provide technology all over the world which people actually use and employers need people to run them. If you’re unsure about the certification you’re interested in see if there are any reviews online, this will also help you determine if it’s actually something you want to spend your time and money working towards as well. Reputation of certificates can be damaged by cheating, for instance people that cheat by using exam dumps can simply study the answers, take the test, and pass becoming “certified”. By doing so these people are reducing the overall worth of a particular certification, if it has a high number of people that are “certified” but do not actually know very much at all then that particular certificate may build a reputation for becoming less useful compared to others out there. Certification providers try to negate this problem by requiring that exam takers sign an NDA preventing them from discussing what was on the exam with anyone else under threat of losing their certification or facing a fine, and offer the exam within a controlled environment where you can be observed. Basically just keep in mind that this does happen, multiple choice style questions would usually be easier to cheat on compared to an actual practical test, however it would be possible to study either if you somehow obtained the answers. I have met people in the work force that claim to have various certifications which should mean they have a particular level of knowledge only to find out that they know almost nothing in that area at all. This may simply be the difference between studying for a test and actually having any practical experience (discussed next) or perhaps they were simply lying about their credentials. Either way it would give the impression to others when they find out just how bad they are that the particular certificate they claim to have may not actually be that great, this person is a living demonstration of that. As previously mentioned not all certificates are created equally, and although some do provide practical exams which is great, it is important to mention that certification does not equal real world practical experience. A certification is designed to cover a certain set of carefully defined scenarios which is rarely what you are actually dealt in the real world. Passing an exam or test proves that you can pass a test, it does not prepare you for every possible curve ball imaginable (and those unimaginable for that matter) that you will face on the job in the real world. Yes certification is a great learning tool and a good start, however just keep in mind that it really is more of a starting point than some sort of end point where you can take on anything in the world with your newly found piece of paper. Some certificates also teach or require you to perform a task in a certain way. In the Microsoft exam world this is known as “the Microsoft way”, that is the way Microsoft want you to do something. I have come across many different questions where I feel one answer is more correct than the other, however you need to go about it in “the Microsoft way” which may result in you getting a particular question wrong unless you put aside what you know to be a better answer and go with the way they intend you to do something. This doesn’t really mimic real world troubleshooting or how things are done at all, only practical experience can teach you this. While certificates are a good starting point when applying for a job or seeking a promotion, again keep in mind that real world experience is generally considered more important. For instance HR and recruiters may be told to look for candidates that have a particular industry certification, consider this as a basic screening which helps them do their job and find a list of people, allowing you to get your foot in the door. The real test comes when you get selected for the interview and get asked a series of technical based questions during the interview to really prove that you actually know your stuff and can back up your certification with some substance. In my experience one of the main things that certification accurately shows is that you are interested in the industry or field that you are studying in. Spending your own time and/or money to learn and educate yourself on a technology shows that you are willing to learn can be more useful than showing your technical skills in a particular area. If you’re happy to learn and can demonstrate this you may find that you get the job or promotion along with additional training or further certification courses. Just a quick note to keep in mind that the certification market is also that, a market, where vendors make money off of your courses, exam attempts and study materials that you purchase. It’s a business that provides them with additional revenue and is worth remembering before you fork over your cash. Again try to find reviews on various certificates first to help determine if the one you’re interested in is actually worthwhile and that you’re not just filling the pockets of some company with your money for little to no gain. This question could probably have its own post dedicated to it, should you spend time going for a certificate if you already have a degree, or should you just get a degree instead and no certification? What about both? There is a time and a place for both options and they offer different things. In my experience a degree will provide you with more of a baseline and technology agnostic understanding of how things work which is extremely useful but doesn’t overly prepare you to join the work force and do many useful tasks that employers are actually seeking. This is where certification comes in, as this tends to be more vendor technology focused you can learn and certify how to use a certain technology or use a particular product properly – this is where the jobs are. In my personal experience my certificates have likely helped me out more times than my IT degree, however your mileage may vary. While there are some certificates out there that are valid for life (or at least valid while the particular technology is used), most will require you to re-certify after a certain period of time, generally some number of years. While this may be a great way to keep up to date with rapidly changing technologies keep in mind that the maintenance time and costs of your certification will be ongoing costs that should be factored in. Personally I’m starting to get to the point where I simply don’t have time to maintain some of my certificates and have to carefully consider before I start any new ones. In the future I may have to drop some in order to better manage the areas that I am starting to specialize in. So is IT certification worth your time and money? While it will depend on the specific certificate, your skills and what you are attempting to achieve, in general my answer is usually yes it is worthwhile. If anything studying for a certificate will teach you new things and improve your skills which is always a good thing. Coming out the other side at that moment where all of your study and preparation has paid off and you have successfully completed your goal is a great feeling. However I believe that certification is not a silver bullet, it can be flawed in many ways and definitely needs to be combined with real world experience to solidify what you have learned through study. Do you think certification is worthwhile? This is simply my opinion, feel free to disagree or share your perspective in the comments below!